This story was published in Fordham News on August 10, 2016 and was written by Joanne Mercuri. A grant from the National Endowment for the Humanities (NEH) is placing the Graduate School of Arts and Sciences(GSAS) at the vanguard of a nationwide conversation about transforming doctoral programs in the humanities. Fordham is one of 28 colleges and universities to win a New Generation PhD matching grant, which aims to overhaul doctoral programs in the humanities to better prepare students for 21st-century job prospects within and outside of academia. “The future of doctoral training in the humanities depends on innovative models that will deliver the competencies and skills that doctorate holders need to succeed in a variety of career pathways, in addition to traditional faculty lines,” said Eva Badowska, PhD, dean of GSAS and grant director, alongside co-director, Matthew McGowan, PhD, associate professor of classics. “As a graduate school within a Jesuit university recognized for its strengths in the humanities, GSAS is uniquely situated to ask what it means truly to prepare our doctoral candidates for the fast-changing world of higher education and for the new knowledge economy,” Badowska said. Historically, doctoral programs have prepared graduates solely for work in academia. However, with a 30 percent decline in academic job postings in the humanities since 2008, this singular focus is no longer realistic for students graduating from these programs. “Thousands of professors are currently in the business of preparing thousands of graduate students for jobs that don’t exist,” Leonard Cassuto, PhD, professor of English and a collaborator on the project, said in his recent book, The Graduate School Mess: What Caused It and How We Can Fix It (Harvard University Press, 2013). The $25,000 planning grant, to be matched by an additional $25,000 from GSAS, will not only propose rethinking Fordham’s five doctoral programs in the humanities (classics, English, history, philosophy, and theology), but will also examine what a 21st-century PhD program at any institution should encompass. For instance, what advanced transferrable skills should be taught at the PhD level? Should skills such as collaborative teamwork and advanced digital proficiency be treated on a par with traditional emphases, such as mastery of field-specific knowledge and independent research skills? In addition to Badowska and McGowan, the project includes a Core Planning Group and Constituent Advisory Group comprising GSAS faculty, current doctoral candidates, alumni, and community leaders who would benefit from hiring graduates with doctoral-level expertise. At the end of the academic year, the group will produce a white paper detailing the proposed model. A key part of the grant will address making doctoral programs in the humanities more inclusive of underrepresented, underserved, and marginalized communities, Labonte said. Within these groups, the percentage of students who enroll in a doctoral-level program has dropped precipitously in recent decades. The NEH announced the Next Generation PhD grants winners on Aug. 9 as part of $79 million in grants for 290 humanities projects and programs across the country, an initiative the group undertook to mark its 50th anniversary year. 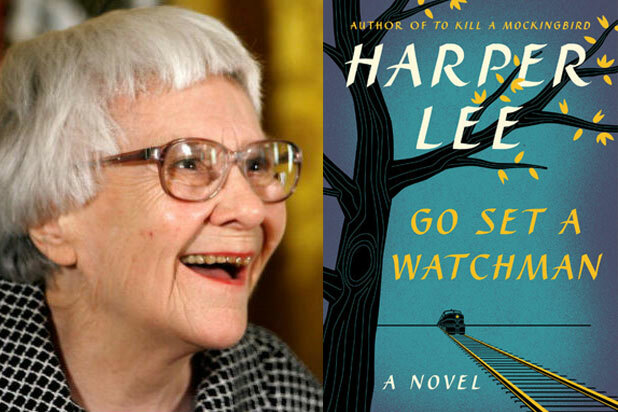 Video: Lenny Cassuto discusses new Harper Lee novel on "Good Day New York"
Watch Fordham English Professor Lenny Cassuto's appearance on Fox 5's Good Day New York discussing Go Set a Watchman, the newly released novel by Harper Lee, author of the classic To Kill a Mockingbird. Click here to view. Leonard Cassuto, PhD, professor of English, has been awarded the 2015 Northeastern Association of Graduate Schools Mentoring Award. The award will be presented to Cassuto on April 17 at the group’s annual meeting in Massachusetts. Cassuto was honored as the GSAS Teacher of the Year in 2009, and was the keynote speaker at Arts and Sciences Faculty Day last year. He said he hoped this latest award would call attention to the importance of teaching. “The bottom line is, it’s a service profession. If you’re not trying to leave things better than you found them, then why do this thing?” he said. Paul Thifault, PhD, GSAS ’12 recalled that Cassuto, while his dissertation director, invited him to be his editorial assistant for two of his books, The Cambridge History of The American Novel and The Cambridge Companion to Baseball. When Thifault recently landed a tenure-track position at a college in Massachusetts, he said Cassuto did not hesitate to take his call on a Saturday morning seeking advice about the job offer. Cassuto: "Is this teaching? In a way, yes. But the student is me." This week, the Chronicle of Higher Education featured an essay by Fordham English Professor Lenny Cassuto on the way teachers' commitments to their students can extend far beyond the classroom. Its title: "'I Just Wanted to Hear Your Voice.'" Student debt has been receiving long-overdue attention, but what about teacher debt? College students may owe money, but what do their professors owe to them? I’ve been vexed by this question since a surprising phone call I received last year. "Hello, Dr. Cassuto? This is Nashiko Mori, your former student." "Hi, Nashiko. I remember you." And I do remember. Nashiko (a pseudonym) stood out. Past 60 and retired from her job as a bookkeeper, she took two of my introductory courses more than a decade ago. She enjoyed the reading and writing, and she appreciated my teaching, so she stayed in touch. Over time, I learned a good deal about her. Born in southern Japan during the late 1930s, she was exposed to radiation from the Hiroshima bomb. She grew up perilously deprived in the literal wreckage of postwar Japan. Her childhood of near starvation surely contributed to the stubborn determination that I noticed in her right away. Nashiko proved a poor fit for the rigid mold reserved for women in Japan. Independent and adventurous, she left the country as a young adult. Though she remained in touch with her family and regularly visited her parents, she effectively renounced membership in her extended family and resolved to make her own financial way. Meanwhile, she traveled the world, sometimes visiting war zones. She settled in New York in the 1960s and worked a long career before she turned up in my classroom. She took a handful of courses from others as well before she stopped in the early 2000s, but she would still come by my office sometimes. Inspired by her college experience, she started drafting essays about her past, and she sought help with them. I was happy to oblige. But Nashiko soon demanded counsel that I couldn’t give. She had unofficially adopted a young man—call him Benjamin—who was down on his luck, and she wanted to give him a new life and new ambitions. For all her iconoclasm, she treated me as a kind of sensei—a teacher and something more—and asked for advice about guiding her new ward. "That isn’t my expertise," I told her. I suggested she talk to a therapist. But she wouldn’t. She kept coming back, coaxing, arguing. Neither of us would budge, and I heard from her less and less. Then, last year, I got that phone call. "I’m so glad you remember me!" she exclaimed. "I found your number, and I thought I would say hello." "How have you been?" I asked. "Not so well. My mother died. I was in the hospital. And now I’m getting old." She spoke of being alone in the world, and she asked to see me. Certainly, I said, we can meet for a cup of tea. Nashiko called again a couple of days later. "Hello, Dr. Cassuto?" Nashiko proceeded to explain that she hadn’t been well. "My mother died. I was in the hospital. And now I’m getting old." Then another call came. It followed the same basic script. At age 76, Nashiko had dementia. She continued calling regularly. At first I tried to learn whether she understood that she had memory problems (she did, but couldn’t apply that knowledge to her actions) and whether she was getting help. She was, indeed—from Benjamin. He hadn’t gone to college, as Nashiko wished, but he has a job as a locksmith. From what she said, he visits her often and looks after her. Even so, she is lonely. She can’t read much, and can’t follow much of what she can read. She speaks of paying the price for never marrying. Nashiko calls in bursts. Each time I talk with her, she calls more frequently—often the next day and the day after that. It’s as though our conversation leaves an unconscious precipitate that brings her mind back to me. But she never recalls our previous conversations. And, oddly, she doesn’t remember our old arguments about helping her with Benjamin, or even that I know who Benjamin is. I don’t always pick up when Nashiko phones. If I don’t, the calls peter out. Then, after a time, they start again. Nashiko has my home telephone number written in a notebook somewhere, and when she comes across it, it jump-starts her. She always asks to see me, and I always say yes, but in truth, she has no way to arrange it. She can’t travel alone to my office, and in any case, she can’t recall any plan that she makes. Should I be going to visit her? I’ve asked myself that question. Nashiko lives on the other end of the New York City megalopolis, almost a two-hour drive away. What is my duty here? I ask myself that, too. I committed years ago to some kind of continuing relationship with Nashiko, but it wasn’t really friendship. It was a teaching relationship, and in keeping with Nashiko’s identity as a Japanese woman in self-imposed exile, there’s a way that our connection has always been very Japanese. Nashiko’s cultural expectations call for me to behave differently from the way I might otherwise. She’s looking for me to dispense a sensei’s wisdom, even though she doesn’t remember what I say. I understand. But this isn’t Japan. I’ve had frequent occasion to recall a conversation that I had with Nashiko, years before she lost much of her memory. She announced one day that she would commit suicide when she could no longer live independently. "You have that choice," I said. But it was as though I had said the opposite. "I will do it," she insisted. She needed to argue with me. We retraced this conversation several times, because the subject was deeply important to her. It isn’t anymore. "I’m very healthy," she often says, "and I’m living the same way." Teachers are wedded to the idea of progress. We try to leave our students better than we found them—and a lot of our job satisfaction is tied to that effort. When stories about teachers are packaged for general entertainment, the students are models of advancement just about every time. Think of Mr. Chips, or To Sir, With Love. My encounters with the diminished Nashiko show me how important the possibility of progress is to me. I love teaching, but I see now that I especially love the idea that I can catalyze change in my students. Now I have a student who won’t progress. Unmoored from time, Nashiko is paddling from island to island in a chaotic stream of experience—and I’m one of those islands. She doesn’t need me to make her better. She isn’t going to get better. What she does need is for me, in some small way, to take care of her. "I just wanted to hear your voice," she says. So I talk with her regularly. If I haven’t heard from her in awhile, I call her. I recently spoke with Benjamin and gave him some information on caregiver-support networks. Is this teaching? In a way, yes. But the student is me. Fordham English Professor Leonard Cassuto presented this year's sixth annual English Department Inaugural Lecture on Wednesday, September 18th. The audience gathered for this event included approximately 100 students, faculty members, and University administrators in Walsh Library's Flom Auditorium, as well as participants joining via videoconference from the Lincoln Center campus. Leonard Cassuto offers the English Department's 2013 Inaugural Lecture, titled "Higher Education: In Search of an Ethic"
Cassuto addressed the topic of higher education's relationship with the broader community. He presented an overview of the changes to this relationship in past decades, concluding that the present "business" metaphor for higher education should be replaced with a model focused on "caretaking." One of his suggestions for how we can initiate this transformation is for individuals from within higher education (faculty and graduate students especially) to reach out to the wider community in order to foster closer "town and gown" relationships. After the lecture, Cassuto fielded many questions from the audience. The event concluded with a festive reception in the O'Hare Special Collections Room where lecture attendees continued to discuss the past, present, and future of higher education. For more details, see the feature story on the Fordham University site. See Lenny Cassuto's October 8 piece on Woody Guthrie in The Chronicle of Higher Education here.